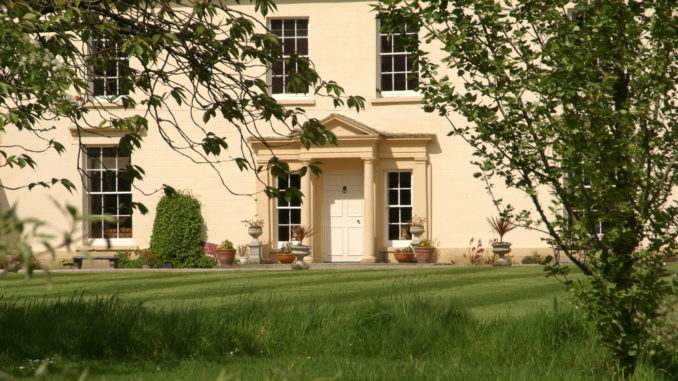 Situated on the shores of Lough Swilly in County Donegal, Castle Grove Country House is the perfect spot to spend a summer afternoon. So why not come along on Saturday July 7thfor a fun-filled day of all things strawberry! From face-painting on the lawn to cocktail mixology, there is something for everyone. Tour Castle Grove’s walled gardens and strawberry beds, learn to make a delectable strawberry dessert from the head chef, and top off the afternoon with a cocktail making demonstration using a fresh batch of Castle Grove’s very own Strawberry Gin. 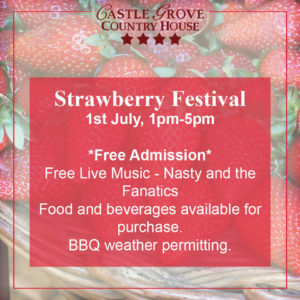 Throughout the day there will be live music on the front lawn by Nasty and the Fantastic, a barbeque with gourmet burgers & strawberry themed menus, as well as a variety of baked goods, food and beverages on sale so you can take a little bit of Castle Grove home with you. Whatever the weather, this promises to be a fun-filled day to add to your summer calendar, admission is free, so it’s the perfect family outing. Castle Grove is a family-run Georgian house, built in 1695 and set is its own 250-acre estate. Situated at the end of a mile-long avenue on the shores of Lough Swilly it’s the perfect base to explore beautiful Donegal and Wild Atlantic way. Two drawing rooms with open fireplaces, library, cosy bar and bedrooms are furnished with antiques and luxury fabrics. 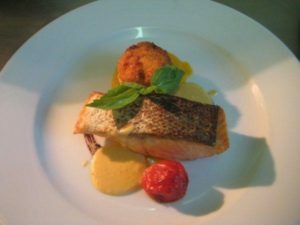 The award-winning fine dining restaurant serves excellent cuisine prepared by our Master Chefs, who combine locally sourced produce with organically grown fruit and vegetables from the four acre Walled Garden. Ireland’s Blue Book is a collection of Irish Country House Hotels, Manor Houses, Castles and Restaurants. 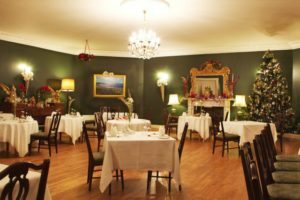 Located throughout the island of Ireland these charming and stylish hideaways are the perfect choice for your romantic escape or weekend retreat. 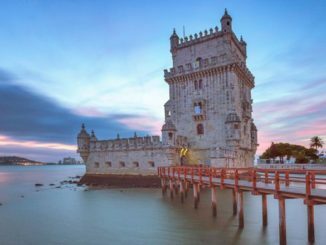 Activities vary from golf, fishing, spas and cookery schools or just relaxing in warm and comfortable surroundings. 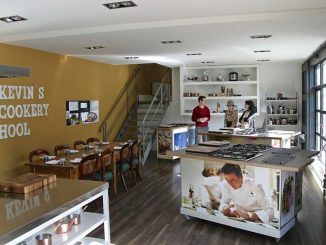 Also included in the collection are five of Ireland’s finest Michelin star restaurants.